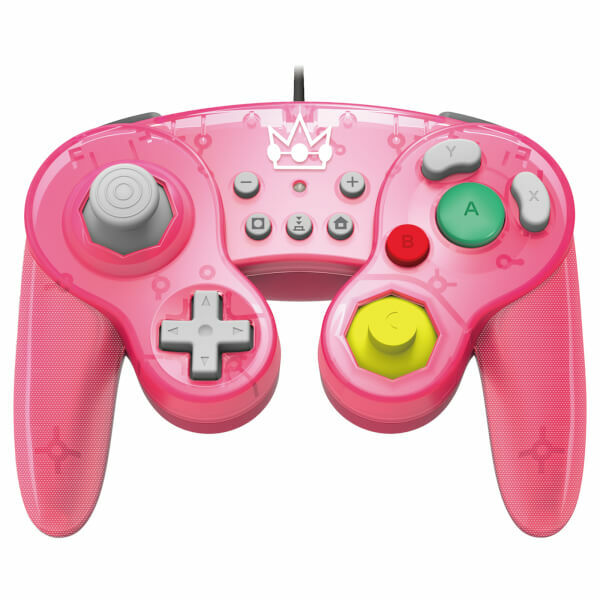 This controller features the iconic insignia of Princess Peach, with a translucent pink design on the front and solid pink on the rear! The only negatives really are that lack of rumble and sometimes the button pressing has an ever so slight delay. Overall these controllers are really great and ideal for Super Smash Bros, I'd recommend these Hori controllers as a very close second to the official Gamecube controllers form the 2000s. Don't play Super Smash Bros with Pro or Joycons! Get one of these. Good quality, wireless would be nice.